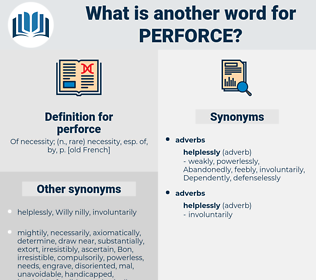 What is another word for perforce? 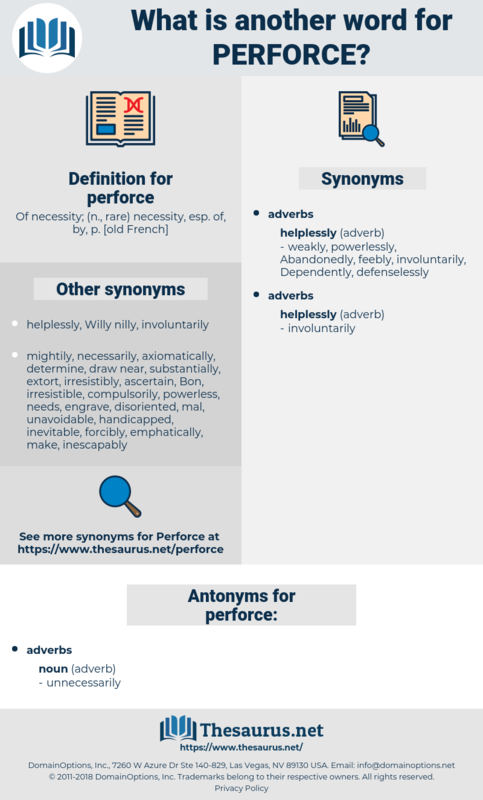 You gave me no encouragement, - so I must, perforce, fare elsewhere.
" Abide in London," said his younger brother, Gurth: " thou canst not deny that, perforce or by free will, thou didst swear to Duke William; but, as for us, we have sworn nought; we will fight for our country; if we alone fight, thy cause will be good in any case; if we fly, thou shalt rally us; if we fall, thou shalt avenge us."